This story is a little too close to home for us - we frequent Causeway Point (which is just 5-min from where we live) to do our shopping and often eat at the food court. We usually do this on a Sunday - luckily we were there much later than normal this week, and didn't need to witness this horrific incident. It's left me wondering how often these sort of incidents occur in Singapore? I know we pride ourselves as one of the safest countries to live. A 45-year-old woman was stabbed to death at a shopping centre in Woodlands on Sunday morning. 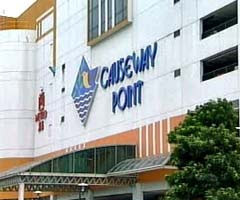 Police were called in to the Causeway Point food court at 10.35 am, where the victim was found with multiple stab wounds. She was pronounced dead about five minutes later. Police have classified the case murder, and are looking for a 60-year-old man to assist in investigations. The man was last seen wearing a blue polo T-shirt, with shorts and black shoes. 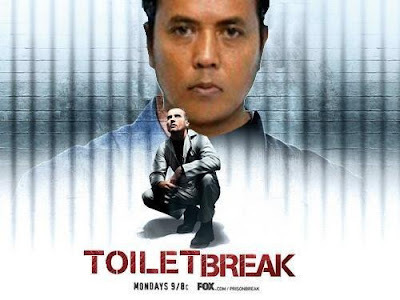 This incident has caused (pardon the pun) me to research a little more on other recent crimes at Causeway Point. I discovered the following Publication by the 'Woodlands Neighbourhood Police Centre'. It is obviously less severe than the food court stabbing case, but still leads to cause for concern. and wrinkles around his eyes. c) Be wary of suspicious persons who may be following you. Move towards the nearest crowded places or dial `999` to alert the police. 4 If you have any information on the above crime or wish to report suspicious person(s) loitering in the neighbourhood, please contact WOODLANDS NPC at 1800-767 9999 or dial 999. Pete, as you probably know, 'amok' or 'amuck' is a term that originated here.